Our approach at Boich Family Cellar is to procure the very best fruit possible from the most iconic and proven vineyards in the region and then with minimal intervention, allow mother nature to perform her magic. Our wine making style emphasizes elegance and balance while maintaining the concentration and complex characteristics of wines from the these esteemed sites. 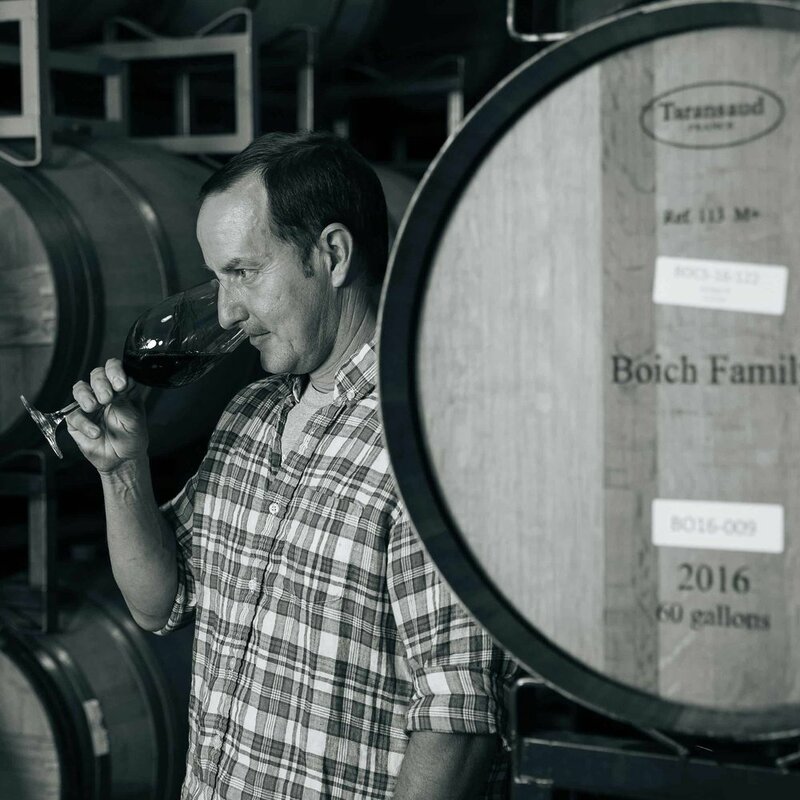 Boich Family Cellar wines encompass a wide range of fruit from the round smooth tannins of Rutherford and Oakville to the broad shouldered and structured mountain fruit from Mount Veeder. All the wines are hand crafted in a new world style that makes them approachable in their youth yet still age worthy. The wine making process is a never-ending quest to connect with your vineyards, know their character, their personality and how best to craft single vineyard wines that are a unique expression of a time, a place and the passion of a winemaker.